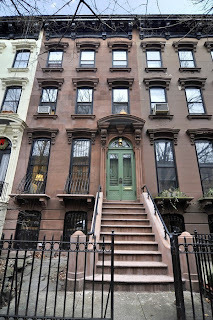 That's right, you and a friend will spend 10 luxurious minutes walking through this 2-Family used as a 1, between 5th & 6th Avenues, amidst a pack of nearly 100 other buyers, browsers, architects, contractors, voyeurs, developers, and tire-kickers jumping at this combination of location and pricepoint alone. 372 6th Street will likely have offers coming in sight-unseen prior to its open house on May 6th. They admit the house "needs updating but has good bones and retains much of its original detail," which translates into a few hundred thousand more in renovation than most buyers aching for $1.5M's in the most prime locations realize they'll have to spend. Compare to the price action on 352 4th Street to see what the 2-Family fixer-upper market is capable of on these blocks. 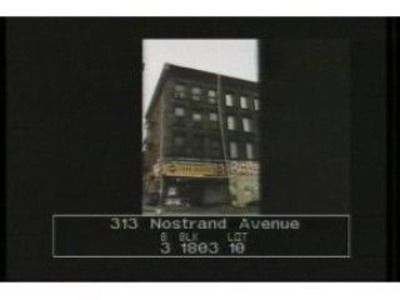 If 372 6th Street were also in PS 321, it'd be bound to fetch even higher. We're told, "There's also the opportunity to build up to 1,500 additional square feet." Which you'd better sure hope is possible, because at its current 16' x 30' (with a small extension on one floor), the price per square foot might make larger places that are pushing towards $3M blush. 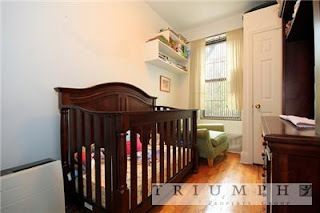 For the money you'd have to put into this place to truly pimp it out, only to end up with spaces that never exceed 16' wide, it's no wonder that even narrow finished products like 117 Berkeley Place have bids above asking price. 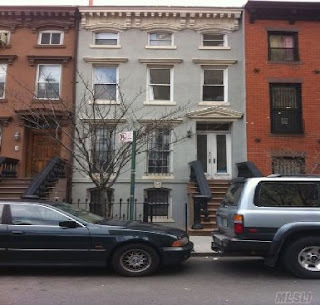 Pro's: technically this is Park Slope for $1.5M, nice block, lil' backyard, "good bones"
We're all about the huge corner properties this week. 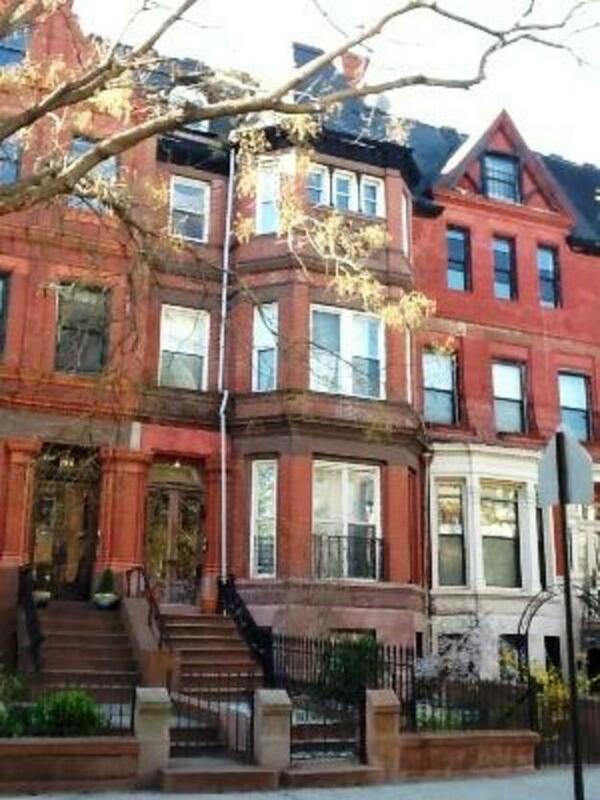 Today's pick is a great opportunity in Crown Heights, on Platinum Member radar early on, but now in contract. 1078 Park Place is a ginormous 24' x 90' brick building on the corner of Park Place and Kingston, across the street from Brower Park. And someone might pick this up for under $700K. 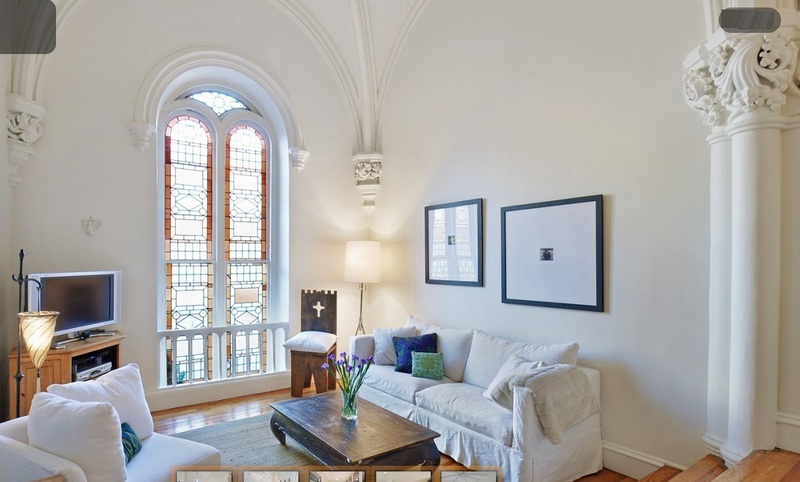 At 4 stories and over 7,000 sqft, you can barely fit this place on the screen in your Google Street View. 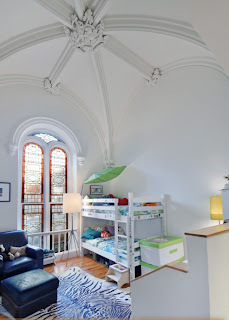 Sure, it appears to have been used most recently as a church, and it has a Certificate of Occupancy for a "School and two (2) families", but none of that really matters if it can be delivered vacant, because you're bound to do a gut renovation and a Certificate of Occupancy change anyways. So you might as well not bother with something that's only half-way what you want and more than half-way priced there already. Get something priced as a gut, and you get to do a full gut to your exact specifications. And at potentially less than $100/sqft, how can you go wrong? People are always coming to us, marveling at a property value that's doubled or tripled in a handful of years. 9 times out of 10, those very people would've been too chicken, or lacked the vision to ever have purchased that same property at that time. We remember when people made fun of us for picking up Apple stock for $100 during the crash, because it poked down to $80 a few weeks later. They said, "It's just a computer company, I don't know who told you to buy that." Now it sits squarely at over $600/share, and someone just slapped a $1,000 price target on it. It didn't take too much vision to see that when people started spending twice what they used to pay for (ground-breaking at the time) Trinitron televisions just for a high-tech phone in their pocket, that the growth potential was virtually unstoppable. Now iPads as high as $800+ sell like hotcakes (over 12 million sold last quarter). So with $800/BR cropping up as the price for rentals deeper and deeper into Brooklyn along the A/C and 2/3 lines, and $500-$600+/sqft condos sweeping eastward, well... you get the point. There's still no such thing as a free lunch, but you sure can find a good lunch special - if you know where to look. On a hit song from a few years back, Gwen Stefani plays a bad girl who wishes she wasn't. She asks her man, "Now tell me, boy, now wouldn't that be sweet? If I could be sweet..." And who could disagree? IF she were sweet, of course it would be sweet. But she admits that's all hypothetical. It reminds us of the old Yiddish saying, "If grandma had balls, she'd be grandpa," where the "if" in question is so far-fetched that it has no bearing on the current situation. 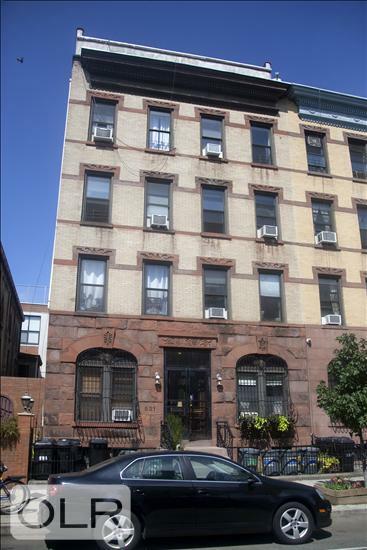 Accordingly, a huge corner lot in prime time Carroll Gardens at 228-230 Court Street would be a sweet 6.85% cap at $5M, if it grossed the $424K/year the set-up calls for. But that rent roll, it appears is just one big "if" at the moment. After all, can you lease a space like this for $85/psf in Caroll Gardens? Funny you should ask, because the same company is simultaneously marketing the same space for lease at that price. If you could get "if" and "then" on the same property at the same time, that'd be sweet. If not, then it's all conjecture. Everyone we've spoken to agrees it'll be some hundreds of thousands of renovation to get this space to the point where it's fetching that kind of rent. The whole point of a cap rate for an investor is that it's a fixed return on a performing asset that stays steady or goes up. We can't slap a specific cap rate on this thing like that until it's proving it can make that money. Anything else is speculation, so let's just call it that. If you got their actual rents and bid a 6.85% cap on those figures, we don't think they'd be happy. But at least that'd be a true 6.85% cap. It's like when 262 Prospect Place promised us their insanely-high common charges would come down after you buy the property. Nah, why don't you get the charges down first and then come talk to us. 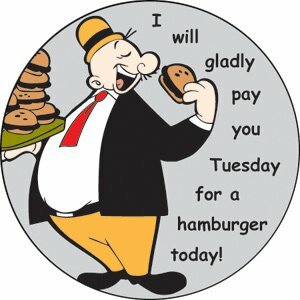 If you wanna play that Wimpy game, then "we'll gladly pay you Tuesday for a hamburger today." We know Jay-Z reps his Brooklyn upbringing, despite bragging about when he's "in my Tribeca loft with my high-brow art" and his "apartment in the Trump I only slept in once". 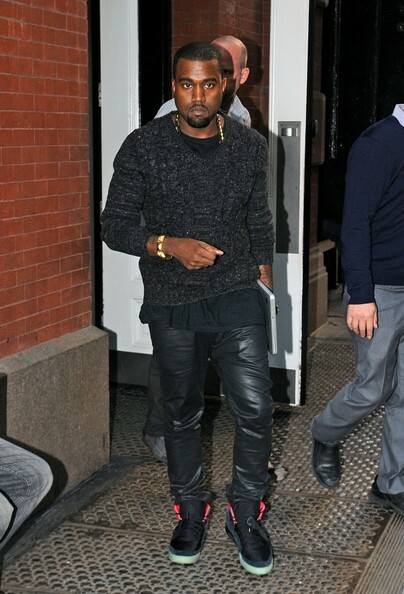 We know even Jay-Z thinks Brooklyn's getting pretty expensive these days. 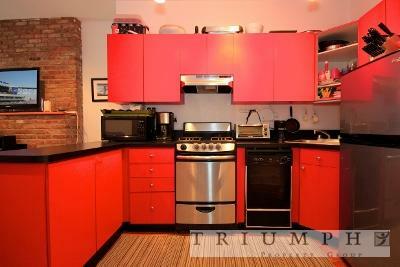 Is $1.19M the price for a corner in Bed-Stuy? 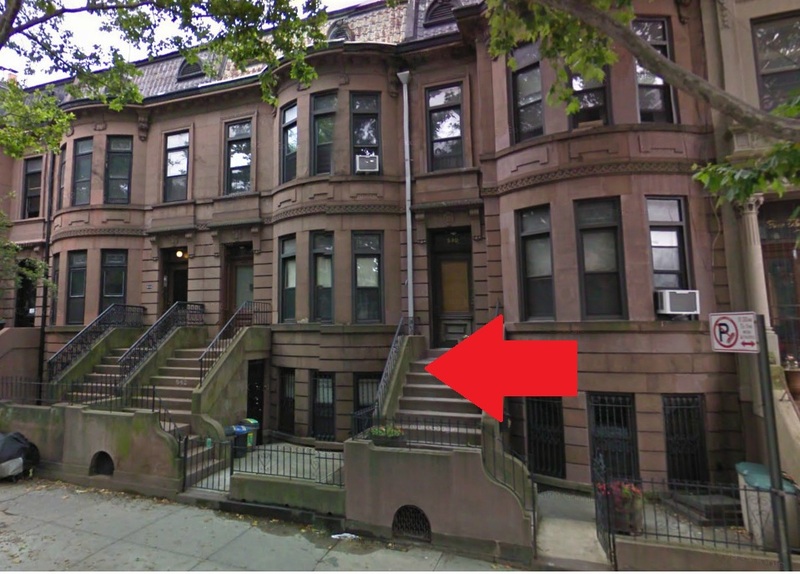 Even the funeral home corner on Court Street in Carroll Gardens wants $5M. As with Court Street, whether the rental numbers provided are real will determine a lot. But $1,300-$1,400 each for the 4 apartments ain't bad. If you're grossing towards $8,000 and pushing a 7 cap or higher for 5,000+ sqft, there are worse places to stash that kind of cash. We think it's worth nibbling closer to $1M for the right investor. However, there are also a few fixer-uppers on corners with more upside at much lower pricepoints that are worth a look too. Con's: listing doesn't give much detail, not everyone's ready for Bed-Stuy, what's the condition inside? 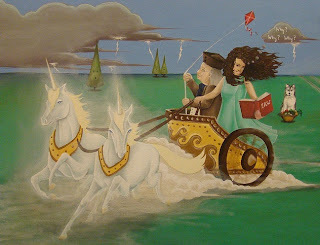 Ideally: the push east is inevitable. A mixed-use corner this large might have more value over the smaller things in better neighborhoods. As we've documented, the search for a true 2BR for $700K in the best areas of brownstone Brooklyn ain't easy. 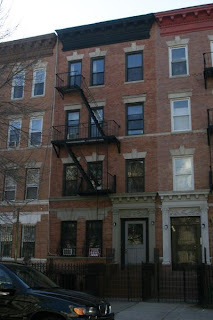 Today few made it out in the rain to check out the recently-listed "2BR" co-op at 521 Dean Street, #6. Out for about a month with this list price of $495K, getting into a modern renovation with exposed brick and a wood burning fireplace, in an old co-op with a nice stone front on part of its exterior... that ain't bad for a prime Prospect Heights block with a fake-turf baseball/soccer field and basketball courts on it, around the corner from the 2/3 and Bergen Bagel. What's the catch? Well, one reader complained to us that noise from the new stadium is a concern. While the entrances are on the other side, the stadium is literally right out your window over here. But neighbors on this block tell us it hasn't bothered them any. 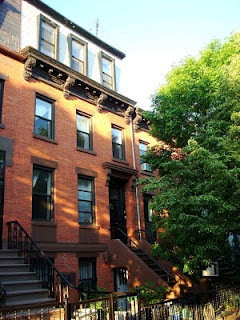 Interestingly, another reader told us that Prospect Heights is "too quiet" for her, and she'd opt for a modern Williamsburg condo over this one. The only real rub here, besides the $685/month common charges that many buyers at this pricepoint aren't all ready to stomach (even though it's not bad at all - as these things go), is the "2nd bedroom". Used a nursery now, you'd be lucky to slide a twin bed in there, let alone use it as the true 2nd bedroom that would make this pricepoint a steal for this neighborhood and condition. 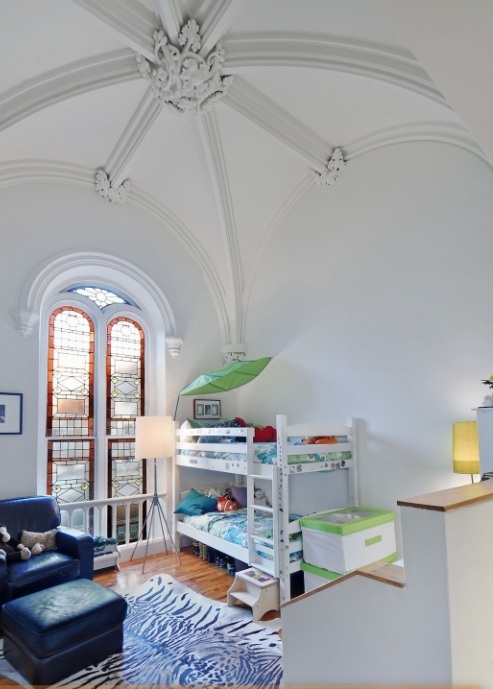 The latest condo in the converted church at 360 Court Street had a similar hold-up on the true 2nd bedroom, but in a way better neighborhood and more unique space. With open houses scheduled at 521 Dean Street through next month, it's easy to go see and we don't suspect it's in much of a hurry. 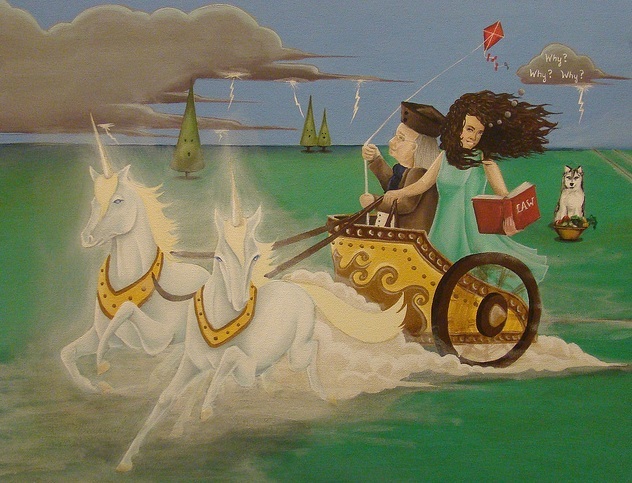 Ideally: still worth a look, and value all day. Worse 1BR's have fetched more. 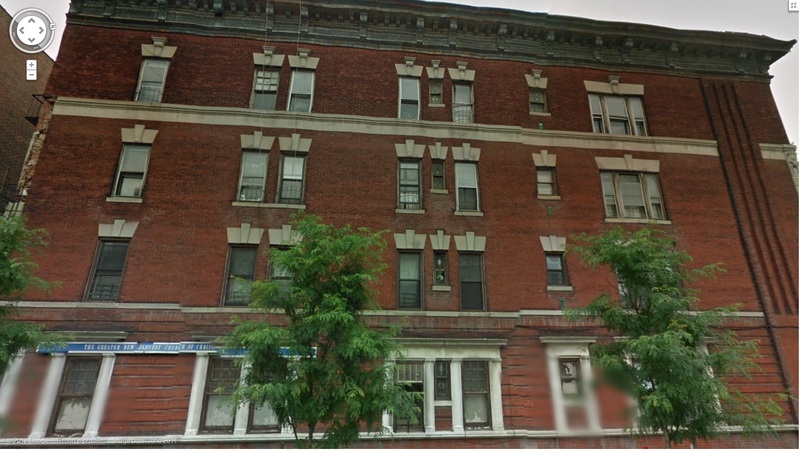 359 12th Street is a huge 8-Family in South Slope at East New York prices - for its rental tenants. This meaty 28' x 60' building has 2BR apartments that are all rent stabilized and rent controlled, with nobody paying more than $1,250/month for a 2BR, some paying as low as $875/month, and one paying a paltry $80/month. 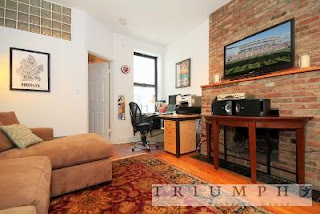 That's right, a 2BR in South Slope for less than your cable bill! 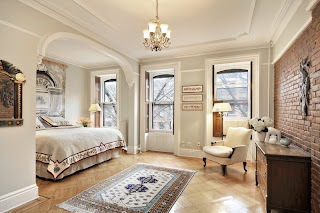 You won't find it on the NYTimes or StreetEasy, and you might not need to. Nobody's in any rush to purchase a 2.7% cap for $1.6M - or are they? This place is easy to shoot down as a terrible investment. Everybody can punch numbers into a calculator and see that it doesn't make money as is. This isn't Walmart shopping for "Everyday Low Prices". This isn't a Certificate of Deposit at the bank where you pick the one with the highest percentage return and best terms. This is real estate, people! Nobody's going to hand you a $20 bill for three $5's. You have to develop property and reposition it to make money. You have to have some angle on what you're going to do with it to add or extract its value. Anybody can scoff at a currently non-performing asset; it takes a select visionary few to unlock the genie in a bottle that is property such as this. We were screaming from the mountain tops for someone to beat the $1.6M cash offer that another huge 8-Family at 234 St. James Place had at the end of the summer. That represented at least a 7.2% cap, with the potential for 10% or 12% cap easily. But with investors lurking in every corner, few lay-ups that simple will ever come up again. What you CAN do, however, is recognize the pattern and respond accordingly. But we can't give the whole game plan away here now, can we? 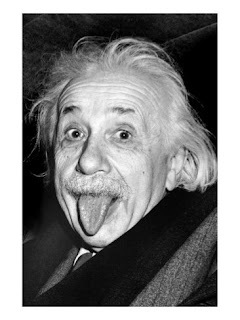 If you're a Park Slope tire-kicker whose low-ball offers are falling on deaf ears, you don't have to be Einstein to know his definition of insanity. Maybe try a different strategy? Afterall, when mortgage rates are fixed around 4% for 30 years, but Park Slope prices keep going up 5% every other week... well, you do the math. If you've spent over 6 months bidding $1.5M not to get a place, now you have to bid $1.8M to not get a place. Imagine how much you'll have to pay when you actually decide to put in a competitive bid. If you're a step behind the curve in an up market, then watch out. Accordingly, when Corcoran drops 124 Park Place for $2.7M, gets more than a handful of offers in a few weeks, and a contract within a month - it's no surprise to see it close for $2.91M 3 weeks ago. 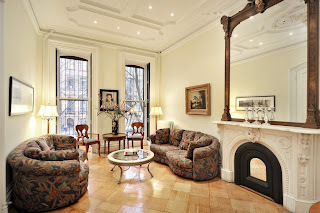 With over 4,000 sqft of parquet floors, exposed brick, sick moldings, and modern upgrades, the offers just poured in on this north Slope 2-Family brownstone. 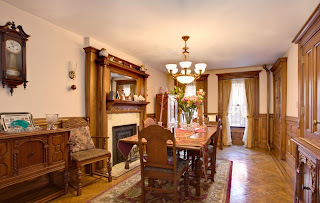 While Brownstoner's busy "suspect[ing] there’s a small discount to make up for the fact that it’s so close to Flatbush Avenue," Corcoran's moving this listing out the door well above ask. Besides, there's a little thing we like to call 7th Avenue that provides a pretty decent buffer between this house and Flatbush. Pro's obviously outweighed the Con's for a number of people. Who has time to worry about tacky furniture when the deck & view is this nice? 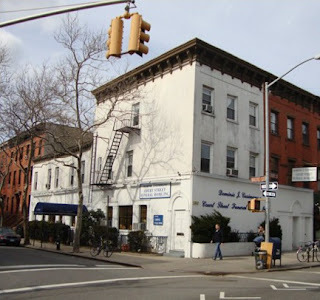 When Park Slope & BoCoCa go up, so does everybody else. And value right across Flatbush from Park Slope won't last long, even when the listing is bootleg & the agent never picks up the phone. 542 Carlton Avenue, hidden under "&Carlton Ave." on Streeteasy has been out for a while, but wouldn't've even lasted this long if the agent ever did anything about it. And as soon as she did, it was gone. Have fun dragging this absentee agent kicking & screaming to the closing table. 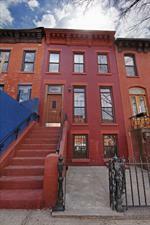 "More than 200 people showed up for an open house at a town house in Cobble Hill, Brooklyn last month," eh? Is this really news, New York Times? We don't think this is "buyer confidence" or "buyer exhuberance". This is supply and demand, yo. We already told you a condo (not to mention co-ops!) this expensive trades in Manhattan literally at an average of one a day. When interest rates are 4% and people have half a million or more downpayment, what's that got to do with the "broader economy" again? Man, we can't believe how many people are missing the mark here. 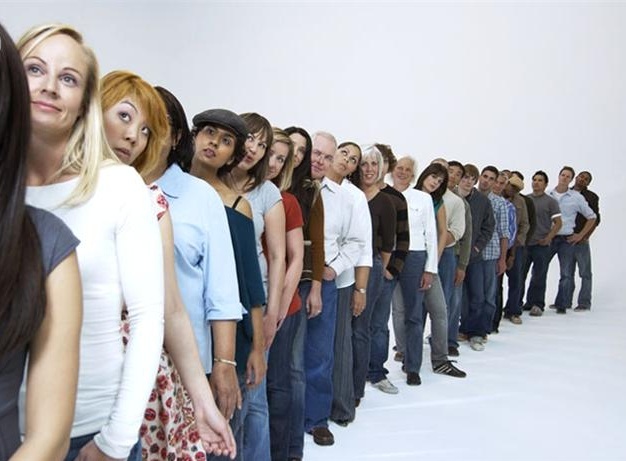 You know when you’re boarding an airplane and someone jumps you in line? And it’s not just annoying because cutting in line is annoying, but it’s supremely annoying because you’re going to the exact same place at the exact same time in the exact same vehicle? Then several hours after they’ve jumped you in line, there you both are at the same spot, waiting at the baggage carousel for your respective bags coming off the same flight? So what was their rush? Who did they think they were edging when they cut you in line? Well, it’s a sad fact of human nature than we can be so self-centered and painfully myopic. And some among us behave as if their ‘ish don’t stink. Much is the case when it comes to buyers looking for their dream home in highly-sought locales. We’ve heard tales of folks offering hundreds of thousands of dollars less than the multiple offers at asking price that the listing agents already have. Where’s the rationale there? Does someone actually think their money’s greener than someone else’s? Why would a seller with 2 million birds in the hand take 1.8 million birds in the bush instead? As is the case with folks way richer than us being astonished and baffled by buyers with just as much money as they themselves have. Buyers with 6-figures who can't imagine other buyers have 7-figures is baffling enough, but buyers with 7-figures who can't imagine other buyers have that same dough? As we’ve pointed out, great minds think alike. Which is why the best stuff gets gobbled up. 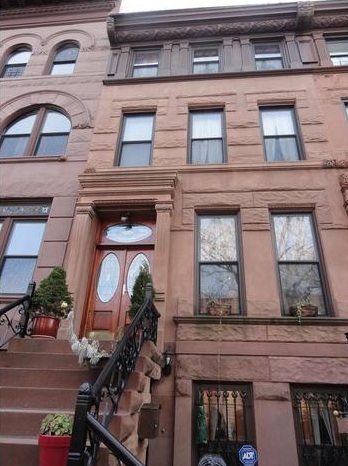 You want a brownstone in Park Slope, well, get in line. And this time, it’s not on the same plane. And don’t get us started on schools. Nothing but the finest for these Park Slope youngsters, right? PS 321. The “Mecca” as expert Joyce Cheflita dubbed it. We don’t doubt she’s right. And yet many readers have told us that more money has been made on over-hyping PS 321 as the only school for your kids, than by any other angle in Brooklyn real estate. And how is PS 321 really? - you might ask. Well, it’s filled to the brim, and flowing into trailers in the school yard. 30+ students per class. Which can be trying as a school environment, no matter how exceptional the program or the teachers, no matter how precious the youngsters attending. It reminds us of the "I drink your milkshake" scene in “There Will Be Blood”, where Daniel Day Lewis explains how he’s already sucked the oil below dry and doesn't need ol' boy's land. His milkshake analogy summarizes this phenomenon well. There’s a finite number of what everyone wants, so only some can have it. Actually, did you know that even the magical constant temperature beneath the core of the earth, which allows for geothermal power, is a finite resource? Passive houses, like the one 96 St. Marks that was robbed from us via a faux all-cash offer, employ this technology. But it wouldn't work anymore if all houses tried it. Yes, even the seemingly-limitless magma inside the earth cannot stand constant if everyone stuck their straws in its milkshake. Environmentalists estimate that if everyone in the world consumed at the rate of the average American, it would require the resources of over 5 Earths to accommodate them. But we don’t have 5 Earths, so the other 6+ billion folks who aren’t Americans are getting relatively short-changed on their capacity to consume. Not to get too hippie here, but the concept rings true. 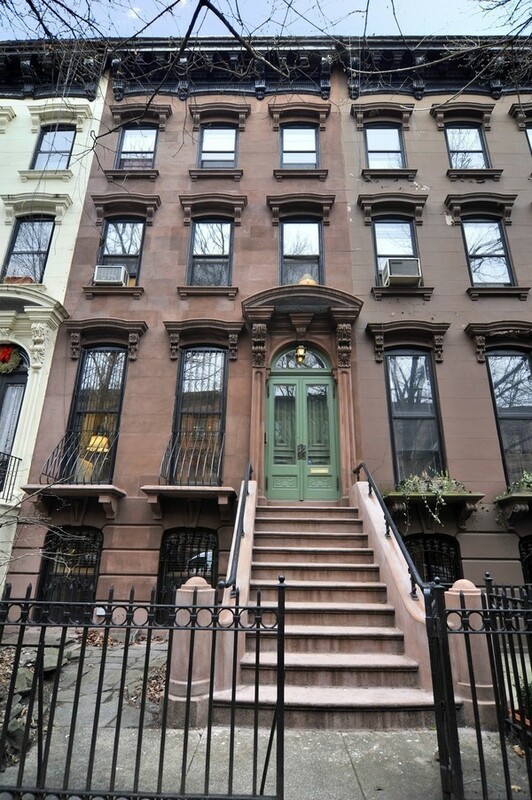 We can’t imagine how many Brooklyns it would take to give everyone who wanted one a Park Slope brownstone. And that’s the supply & demand dictating prices in that neighborhood. Ahhh, the free market. The great democratizer. “We hold these truths to be self-evident, that all men are created equal... Life, Liberty, and the pursuit of a 4,000 sqft brownstone for less than anyone’s paid for one in the past 5 years.” Someone please double-check the document to see if that phrase was in the fine print. 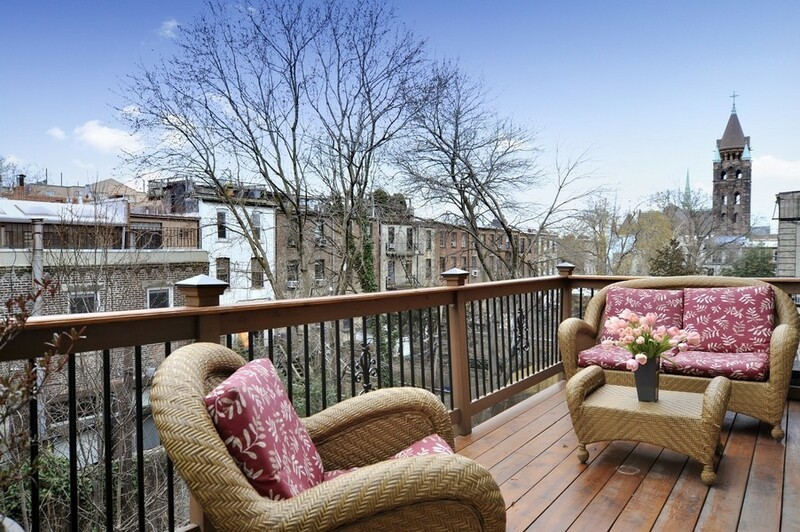 Because these Park Slope prices are downright unconstitutional! 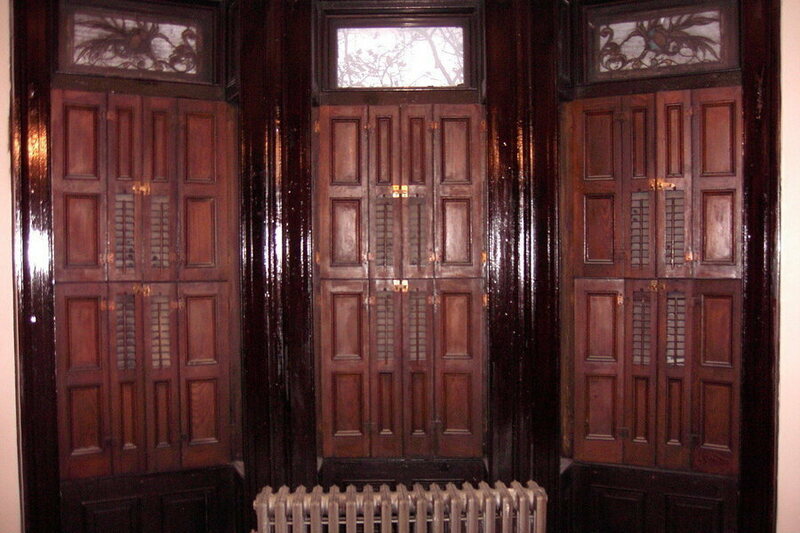 If you think you're pioneering in Clinton Hill, we think you're kidding yourself. The housing market has taken off like a rocket, and the commercial is finally catching up. We've been calling for the Clinton Hill commercial corridor on Fulton to catch up with Myrtle for about a year and a half now. And it was only a matter of time. Like clockwork, now there's a Bergen Bagel coming to Fulton. Which is funny because the only other Bergen Bagel not on Bergen is on Myrtle. So Fulton has officially arrived. 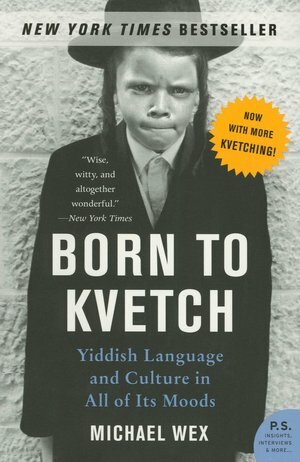 Boy, it seems like just yesterday we were in the original Bergen Bagel in 2003, with the bagel, the coffee, and the schmear, overhearing people kvetching, "Do you have to have random tattoos to be white in this neighborhood?" And now certainly even those hipsters with barcode tattoos on their calfs might be priced out of Bergen Bagel III's locale. 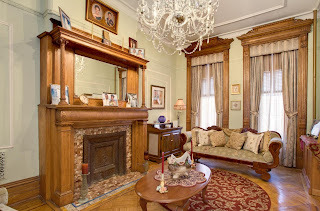 187 Gates Avenue is another house you won't find on your StreetEasy or your NYTimes. It's been out for a while and, like yesterday's pick, we guarantee they get 10 calls this week they never otherwise would've gotten. 22' wide in this neighborhood for $1.1M ain't too shabby at all. We've seen SRO's fetch that, PRIOR to the price explosion of last Fall. Now we're told it's "being supported by one electric & one gas meter" even though it's "being run as a four family". We appreciate the honesty here. Speaking of honesty, if that rent roll of $7,500/month is real (and not Massey pro-forma), we might really have something on our hands here. Don't let the lack of photos necessarily deter you. That's just how Palmese rolls. He's got bigger fish to fry, and he knows he's moving this building eventually regardless. So he doesn't need your NYTimes, or your StreetEasy, or your snarky Brownstoners nit-picking his interiors. 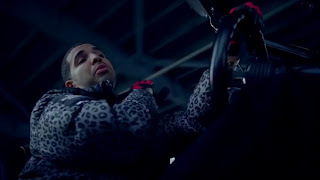 He's got leases and rent rolls and dimensions. Take it or leave it. 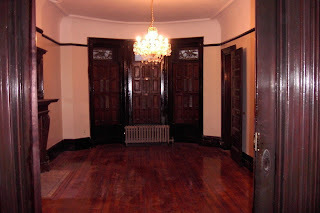 He rolled 338 Clinton Avenue out the door without barely a snap of a photo, and that thing had a gorgeous interior the Brownstoners had previously gushed over. Verify that rent roll and you've got a great investment. 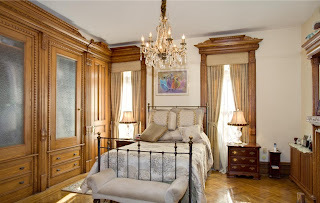 Or step a few blocks across Classon for finished mansions cheaper than this. But please don't pretend you're "pioneering". This is the second most populated county in the country behind Manhattan. The housing market might be as unregulated as the Wild West, but you ain't in Kansas anymore, Toto. On our Platinum Member radar since day 1, back in October or November, this killer-diller 4-Family has so much going for it on so many levels we don't know where to start. 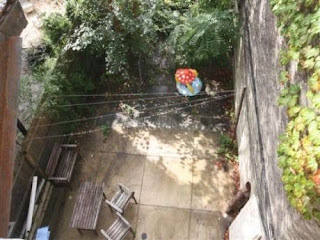 And, yes, just like our last pick, good luck finding this on your StreetEasy or your NYTimes. 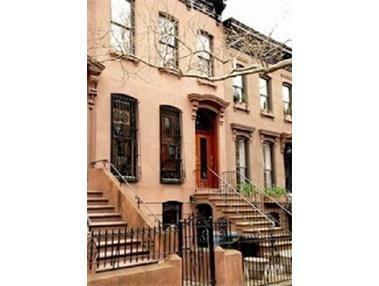 116 1st Place is a 4-Family brownstone between lovable Court and Smith Streets. It's around the corner from the F/G stop at Carroll Street. It's across the street from the picky-parent-approved PS 58. It came out for $1.989M in the fall, dropped to $1.9M, had multiple-offers with back-ups for a time, then came back out, and a whole lot of other details we can't quite go into here. Everybody and their dog knows how to type in Corcoran.com (4.5 million a month, and counting...) and those agents tend to get off their bums from time to time, so it figures that their place in estate condition around the corner went in contract above $2M, while this thing languished under mediocre marketing and haphazard servicing, only to now be off the market. Corcoran, have at it. You know you can get this seller this price. Get up out there and make that commission, yo! On a block that wants almost $4M for a 4-Family, we can't even begin to count the ways and types of buyers this thing is a great move for. Too bad it's gone, for now... we guarantee dude gets 10 calls this week he never otherwise would've gotten. 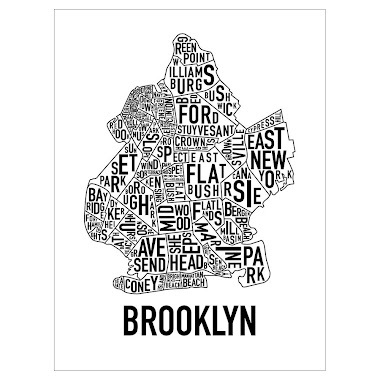 Who loves ya, Brooklyn?? It remains absurd to us that folks with $2M+ in cash can't even get a comprehensive list of every single property available for sale in Brooklyn. Not from Corcoran, not from Brown Harris, not from Prudential Douglas Elliman, not from the President of the Real Estate Board of New York. But don't take our word for it. The precious New York Times concurs, "There is no comprehensive listing service for Brooklyn brownstones." Last week one reader commented on a post, "If Streeteasy is not a comprehensive listing site, how does BK propose a comprehensive search? I use both NY Times and Streeteasy." Well, trust us, it takes much more than a two-pronged attack. 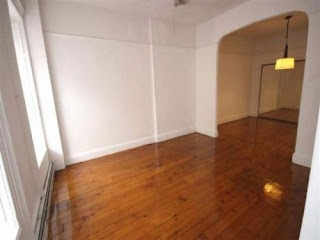 In fact, neither the NY Times or Streeteasy would get you hip to this listing at 127 St. Felix Street. Ironically, neither would the supposed listing agent's own website. This is, afterall, the "information age", people. Is it really that hard? Luckily this Long Island MLS syndicates with Trulia, so it showed up there a few days after it came out. 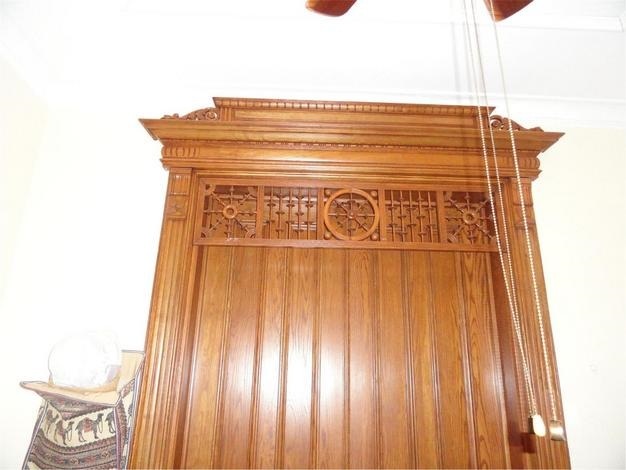 Granted, a terrible listing, an obscene price for no interior pictures, no layout, and barely any details. I mean, really, "2 stoves, 2 refrigerators"? For just $2 million?? Get your offers ready! The location is a little niftier to us than the other stretch of St. Felix we've covered. We like this block a lot better. But many will moan that it's in the shadows of Atlantic Terminal and Hanson Place. We're sure the big brokers will be jumping at these owners to list their place much better than this. Corcoran moved a deal on this block in a flash months ago. 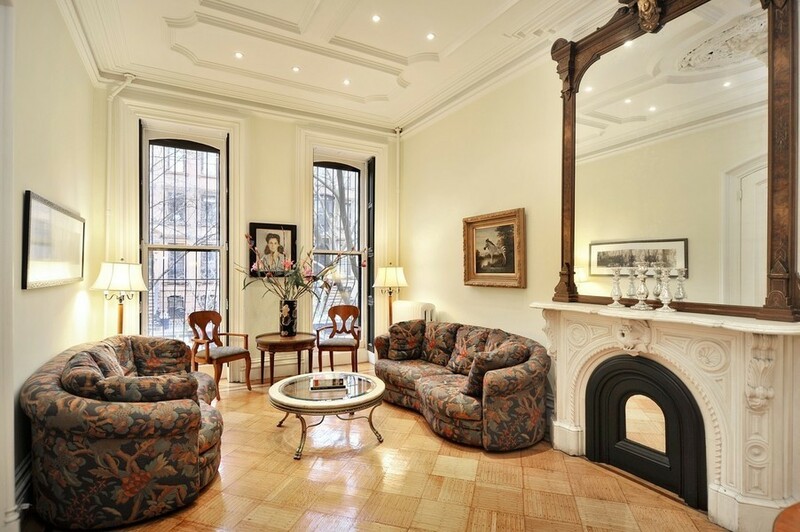 But this 127 St. Felix listing ain't gonna cut it for 19' x 35' at $2M. 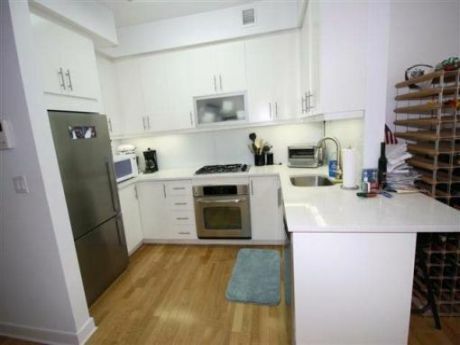 Even this terrible $200K condo listing in Miami Beach took 15 pictures of the unit's surroundings. Someone who stands to make 10 times the commission couldn't bother to take more than one exterior pic? Welcome to Brooklyn. Ideally: someday we'll look back on the MLS-less days in Brooklyn and laugh. Until then, there's BK to the Fullest! 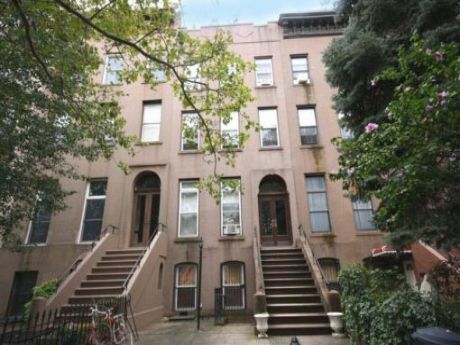 If you weren't ready for a fixer-upper in Clinton Hill proper on Gates Avenue priced at $1.5M, then you definitely don't want to hear that's what the next fixer-upper across Classon into Bed-Stuy is asking these days. 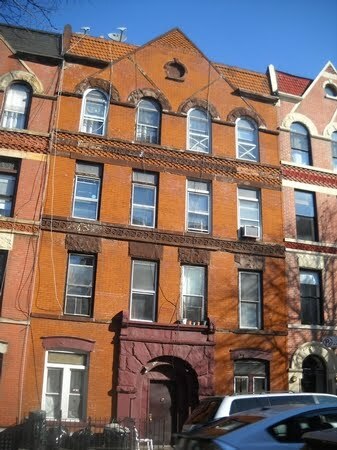 But that's exactly what "the Minsk Man" (as Brownstoner affectionately dubbed him) has done here at 252 Gates Avenue. 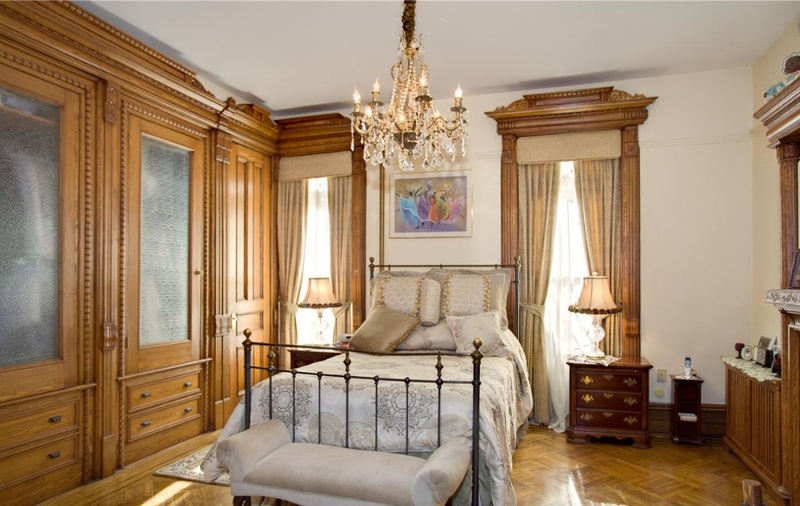 Fresh off a pair of fancy $2M listings in Clinton Hill, he's into Bed-Stuy now on this one and he's bringing his price points with him. 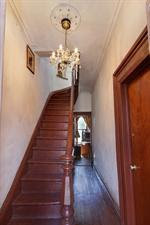 The firm that just moved a finished 3-Family with great pictures of wood details under $1M now brings you a fixer-upper for $1.5M with no pics (as of yet). 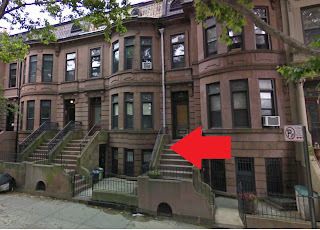 The location of 252 Gates is about as Clinton Hill as Bed-Stuy gets, so close to the Franklin C train and all. The listing is a work in progress with no additional pictures, no layout, no details on its occupancy, and some square footage discrepancies. We're not sure if the existing C of O matches with the 3-Family it's used as, and we're told it's "perfect for conversion". If we're doing a conversion east of Classon, we're looking to jump in at a much lower price point, like this 986 Park Place. 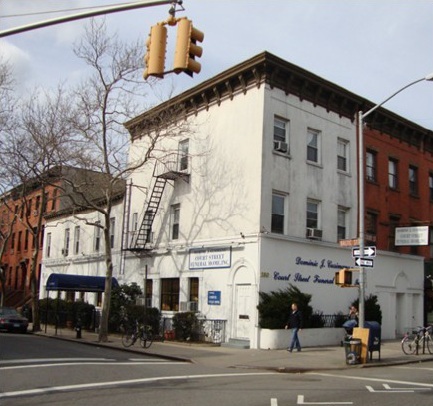 By the time you're doing a conversion at these prices, you might as well do it in a more desirable location like prime Fort Greene. Perhaps the interior will be the missing link. We're eager to see the pictures now. Even if it's stunning inside, we're a little afraid of the precedent this sets for prices in this neighborhood. Con's: pricey, "needs some work", not the best fixer-upper for this price, will this welcome more mis-priced imposters to the neighborhood? 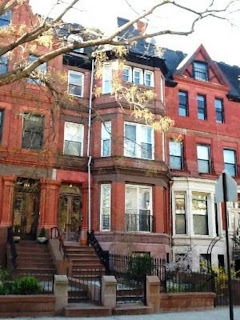 Ideally: there are more compelling values in Crown Heights and Prospect Heights, in our opinion. But this is worth a closer look. Not even out an entire week, this North Slope 2-Family hit the ground running at $1.85M, and got swooped up so fast that Platinum Members never even got a chance to get inside. 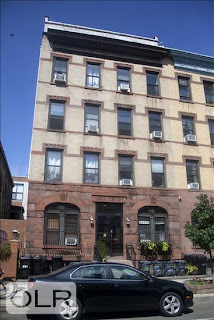 22 Sterling Place is a 3-story, 20' x 40' brownstone. Nothing outstanding. But the piranhas are circling the Slope eager to devour anything you toss in the water. And why not? 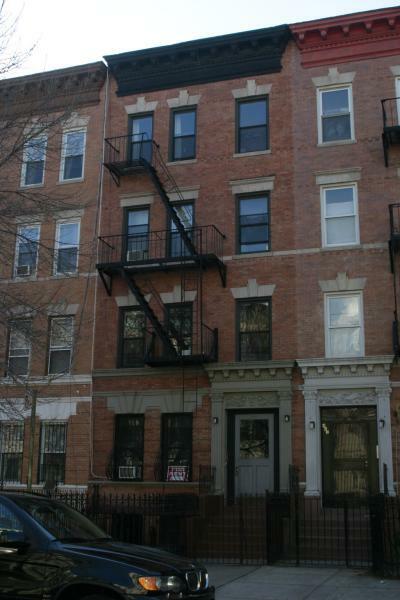 When mediocre 3BR condos want the same kind of price, shoot for the townhouse! Blackberry pics will do when you're talking about a restored Victorian house with original details, A/C, washer/dry in each unit, a backyard, etc. Park Slope, a victim of its own success. Wanna go to Gorilla Coffee around the corner? Ooops, nowhere to sit. That's 'cause it's good & great minds think alike. Similarly, everybody and their moms wants to be in Park Slope. Thus the dozens that sprung on this place, and only one will get it, leaving dozens salivating for the next one. Still wondering what's guiding prices over here? We had to laugh when Jay-Z said "prices are really high" in Brooklyn, because (A) he brags about "half a billie in the bankroll" and (B) he's contributed to the pricing as a part of moving the Nets to Brooklyn. Relative newcomer Drake now brags that he's "25 sittin' on $25 mill'", but is that even big by New York standards? 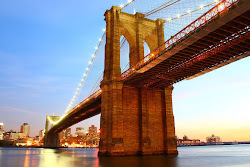 Wealth-X reported that New York ranks as the city in the US with the most "Ultra High Net Worth Individuals" with 7,270 folks sitting on $30M or more. That's almost 3,000 more ultra ballers than Los Angeles. Let's not lose sight of who we're living amongst here, folks, when a $700K condo and a $1.8M Park Slope townhouse sell really quickly. Definitely a case of "dog bites man", rather than the "man bites dog" some make it out to be. 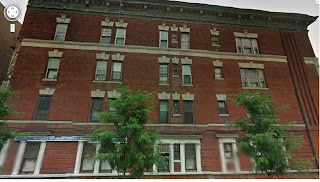 Ideally: as for us, we'd shoot for 4-stories or more and do our own renovation. But this makes sense for a ton of buyers all day long. 19 3rd Street - A relative steal in Carroll Gardens, that was out forever. One of the last vestiges of 2010 and the last of the dip. Finally closed on 2/10/12 for $1.56M. 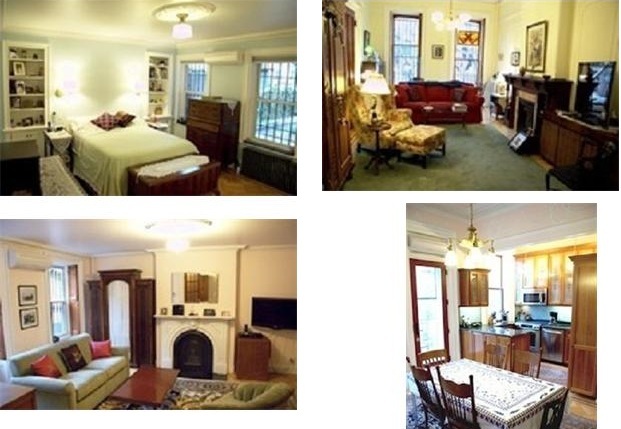 496 2nd Street - A 4,000+ sqft 3-Family in Park Slope that magically claims an owner's triplex and 2 x 2BR rentals. Bootleggedly listed elsewhere for $2.3M, then Corcoran got their hands on it, raised the price to $2.4M, and got it in contract in just over 2 months. 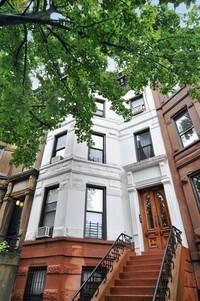 Just sold for $2.37M on 3/7/2012. 451 8th Street - Another Corcoran listing in Park Slope, big surprise. 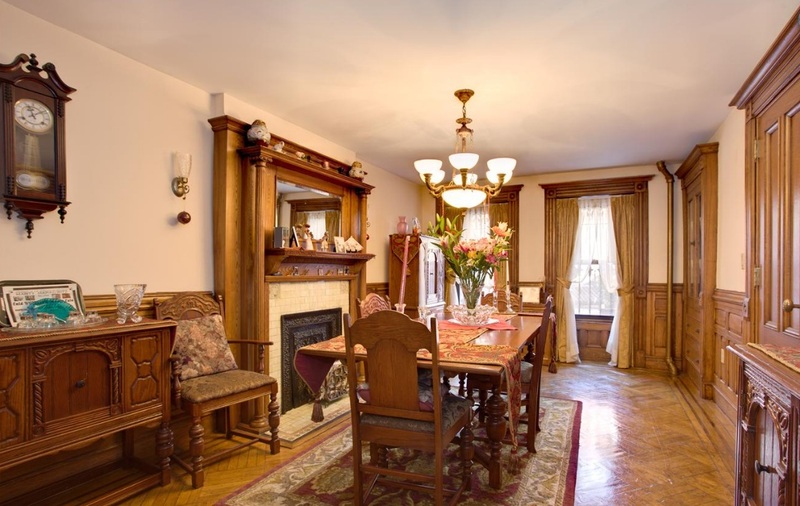 A 2-Family with tons of restored details and nice upgrades, lists for $2.45M in 2011-2012 twice, finally fetches $2.3M on 3/28/2012. 397 Bainbridge Street - a renovated 2-Family in Bed-Stuy listed for $599K in October 2011, closed for $555K on 3/15/2012. A true flip, if you study the property history. The true-blue 2 bedroom apartment in a great location in Brooklyn is hard to find at $700K. We've covered ones in Boerum Hill, Williamsburg, Park Slope, and "Park Slope". Today's pick is a "2BR" in a unique space. 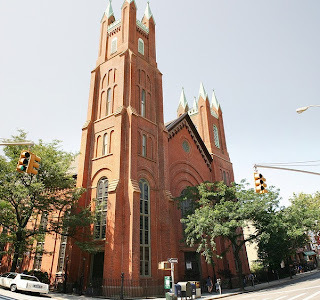 360 Court Street, #22 is in a converted church right on the corner of Court Street and President Street in Carroll Gardens. 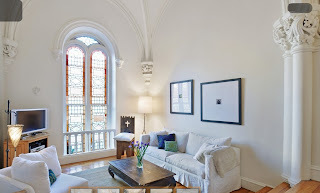 It's not everyday you get "soaring cathedral ceilings, stained glass windows, dramatic plaster arches and columns, and unique multi-level living" at this price point. Throw in a nifty renovation, central heat & A/C - and the only real drawback we can see is the 2nd bedroom is a loft space. This apartment is a slam-dunk if there were 2 legit bedrooms, but it's still the next-best buy for the right couple in this neighborhood. The church isn't for everybody, but unique spaces like this have traded at nice premiums in Brooklyn Heights and Fort Greene. No reason to see why this won't also. Ideally: if it's not gone already, make a move. You don't see these come along everyday. Big mansions with killer original details and woodwork for days don't last that many days on the market. Especially when they're under $1M. 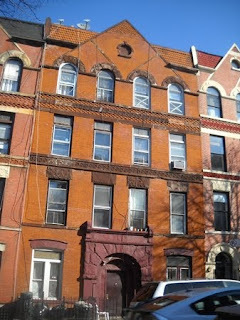 532 Putnam Avenue came out at the end of January for $975K and went in contract yesterday. This 4-story 3-Family "used as a 2" has all the original details intact, incredible upkeep, and some great renovations to modernize it just enough. When's the last time you saw a house that shined like this? 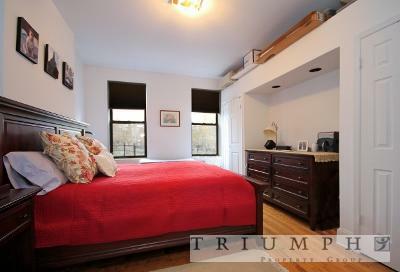 Granted, it's in Bed-Stuy, and you may not be ready for Bed-Stuy. But we can't help but get defensive about this fine neighborhood. 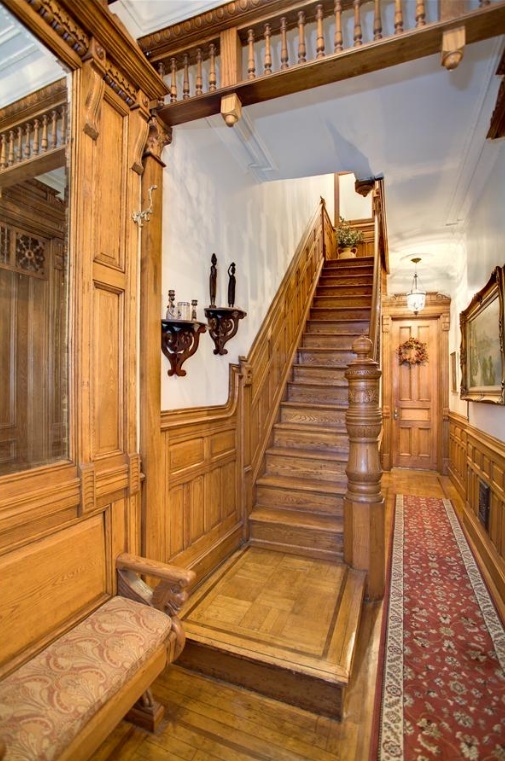 It's not like someone came down from the heavens and christened Park Slope as the only neighborhood with tree-lined blocks and gorgeous houses from 1899. The city is full of them. And, according to Craig Wilder, a history professor at MIT featured in the documentary "My Brooklyn", red-lining after the Great Depression was a move by banks who were frazzled from bad loans (sound familiar? ), which created a moratorium on lending that suffocated Bed-Stuy for generations. 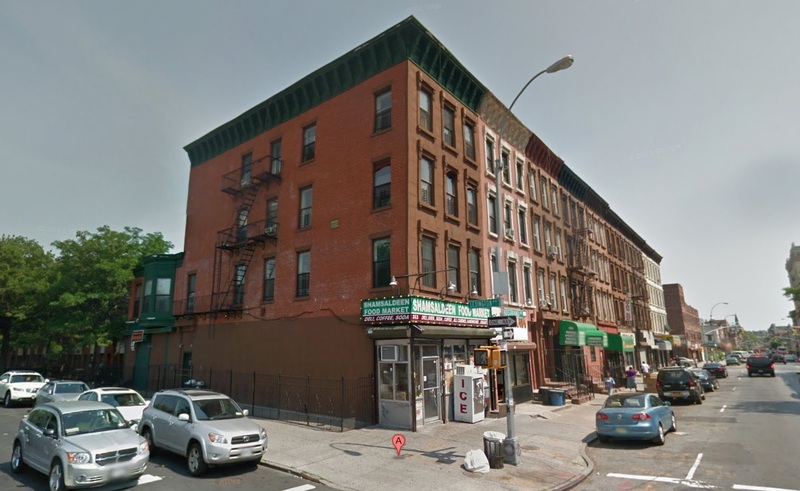 Now that red-lining has been outlawed and more equitable market forces can do their thing, Bed-Stuy - which still has a lot of catching up to do from the damage done - will continue this rebirth for generations to come. It's hard to muster sympathy for Park Slope buyers getting mowed over by the feeding frenzy for ~$2M houses over there. Readers who can't even afford to live in Fort Greene have told us the schools there aren't good enough for their kids. Where this caviar taste on a codfish budget even comes from, we can't be sure. However, if you can even sniff those price-points, you're sitting pretty in the big picture in the first place. So pardon us if we can't share your grief over the market forces at work well above our pay-grade. As we like to point out, every single day a $1.5M+ condo (not a house, people, a condo!) sells in Manhattan. 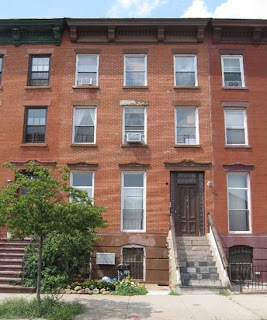 With the median price per square foot of condos in some parts of Brooklyn surpassing $925/sqft, getting a top notch house like 532 Putnam Avenue for $292/sqft is a deal all day. Either get with the numbers, or realize there's the same housing stock for half-off elsewhere. But something's gotta give. There's no such thing as a free lunch. When we come across a blog called "Save the Slope", we've really got to wonder what the Slope needs "saving" from. That's like wearing a t-shirt that says, "Free Warren Buffett"